After Japan and Italy, it’s now time to travel to France for a Match 3 adventure of a lifetime! Follow the American journalist through her new journey where she is about to find her secret crush. See this romantic story unravel and discover who the mysterious writer of the messages is. Enjoy the trip through this fascinating country and accomplish many tasks on the way. 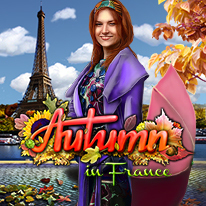 Take the opportunity to smell and taste French fragrances and cuisine, visit Normandy, Provence, Champagne and Paris through many levels of Match 3, spot the difference, hidden object, colouring and much more while absorbing the chic and romance of France in autumn.